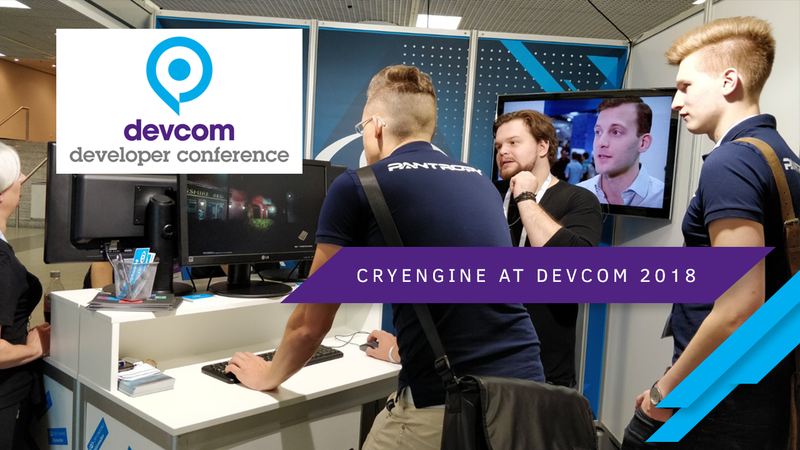 The CRYENGINE Team is exhibiting at Devcom this year in Cologne. Got a ticket? Stop by and meet our engineers and indie devs; try the latest build and join our workshop! Don’t have a ticket, yet? There’s still time to claim yours. Developer Conference is almost upon us! Like last time, CRYENGINE will be exhibiting at Devcom on August 19 – 20 in Cologne/Koelnmesse – just before GamesCom. 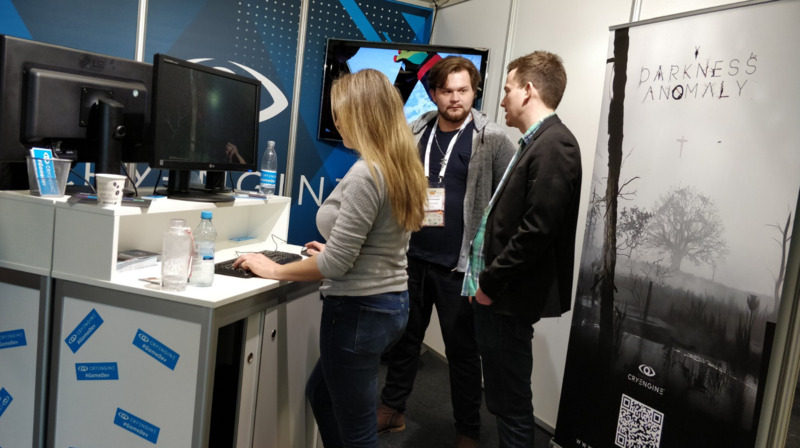 Come and visit our booth and meet the star of our first CRYENGINE Community AMA ever, Junior Engine Programmer Alex Klinger who will set your code straight. Or would you rather light something on fire with Crytek’s resident ‘Explosion Artist’ Viktor Ikkes and his gorgeous particle effects work? In any case, if you are having questions, comments or concerns, don’t hesitate to come by and chat about our new licensing model and let us know what the CRYENGINE marketing team can do for you to help you get your game off the ground - just leave your feedback for the engine with Community Developer Cry-Nic! 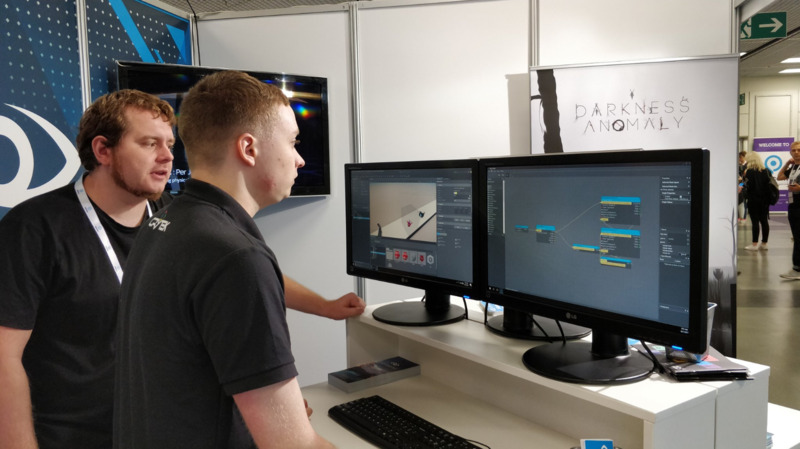 Special guest at the booth is Darkness Anomaly’s single developer Roman Perezogin who will show you how he leverages the CRYENGINE Sandbox Editor and Flow Graph to build his intriguing, interactive horror thriller of a game. And if you want to learn the ropes from our very own Product Manager, Collin Bishop, just save the date of Monday, 2 pm Stage/Channel 7 and attend his workshop where he explains how to make a mini game in CRYENGINE from scratch. So be quick to grab yourself a chilled drink at the beer reception and sit down with your friends to learn from the best! Intrigued but no ticket yet? Don’t fret! You can still claim your tickets for Devcom right here – combi-tickets with Gamescom access are available. The team is looking forward to meeting you! 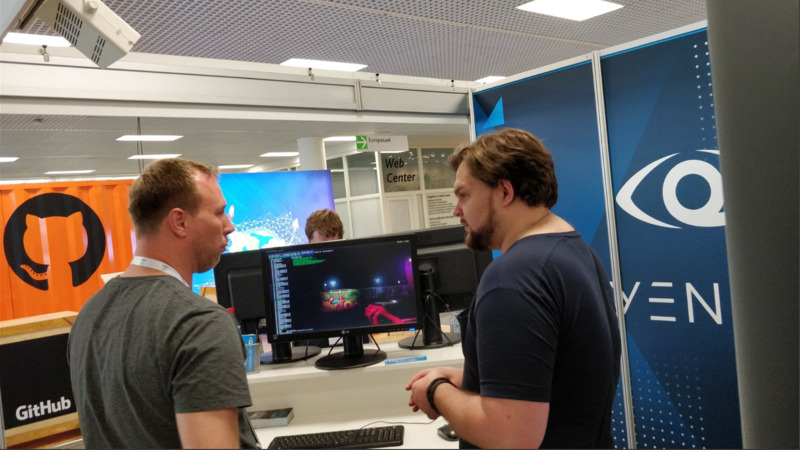 If you are having any questions or comments or stuff you want to see at Devcom, make sure to let us know in the comments right here on the forum, or via Facebook, and Twitter.